Emily Shelley was born in Toronto, Ontario, Canada. 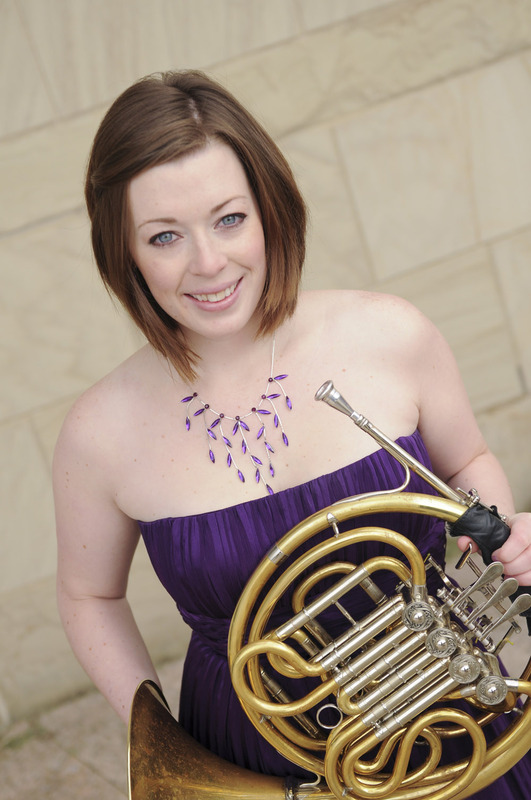 She is currently second horn of both The Wheeling Symphony in West Virginia and the Erie Philharmonic in Pennsylvania. Ms. Shelley has taught privately for over a decade, is the French horn faculty of the Music Settlement in Cleveland and was the Assistant Horn Faculty at the 2015 Sitka Fine Arts Camp in Alaska. In addition to her performing career she holds the position of Operations Coordinator with the baroque chamber group, Les Délices. Ms. Shelley completed her undergraduate degree at the University of Toronto in 2010 where she studied with Gabriel Radford and then moved to the United States where she completed her master’s degree at The Cleveland Institute of Music while under the tutelage of Cleveland Orchestra principal hornist Richard King and went on to receive her artist’s diploma at The Oberlin Conservatory where she is studied with Roland Pandolfi. In both Canada and the United States, Ms. Shelley attended Domaine Forget, Windfest, the Banff Centre, and the Music Academy of the West summer festivals.